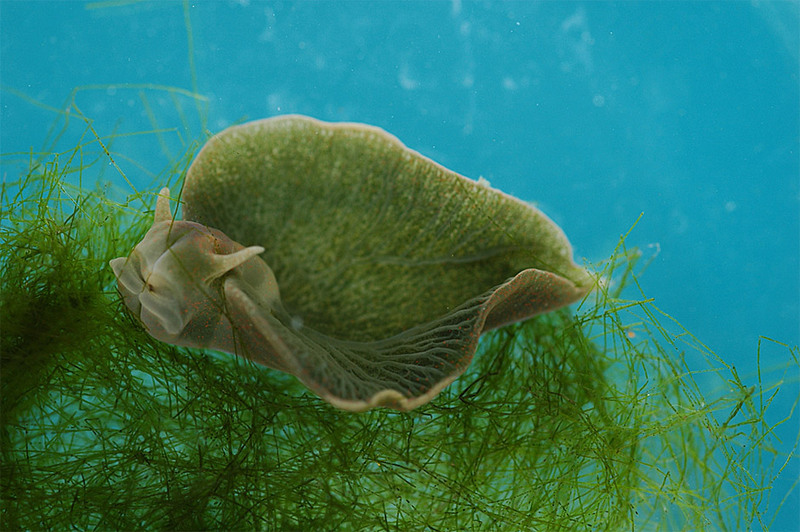 Meet the eastern emerald elysia (elysia chlorotica) a sea slug that gains some of it’s energy via photosynthesis from chloroplasts, genes and cell-parts it has integrated into it’s body from the algae it routinely dines on. It’s a water and grass type! Read more about this fascinating creature on the mother nature network. FUN FACT: If you live near salt marshes in New England or Canada you could go and catch one yourself. If you keep it in an aquarium that has light shining on it for 12 or more hours a day you’ll never have to feed it.